Mike's primary area of practice has been the troubleshooting of mechanical systems and chemical process equipment. He has thirty years of experience in the chemical process industry and can combine both the theoretical and experimental approaches in finding unique and innovative solutions in the areas of pressure vessel design, equipment and piping design, material processing and failure analysis. He is skilled in the use of finite element programs, piping stress analysis, metallurgical testing, and knowledgeable in industry Codes and Standards. He has managed a group of engineers and chemists in performing technical support in materials testing, corrosion testing and failure analysis. Mike has a B.S., M.S. and Ph.D. in Mechanical Engineering from Louisiana State University. 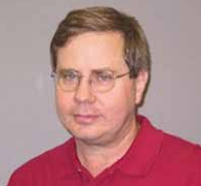 Mike is an Adjunct Professor at Louisiana State University and teaches Finite Element Analysis and Pressure Vessel Design.